Description: Paper Accents Chipboard Shapes can be used as ornaments, gift tags, place cards, kid's crafts and more. Cover with paper, paint, and embellish, you can make them simple or make them elaborate, it's all up to you. 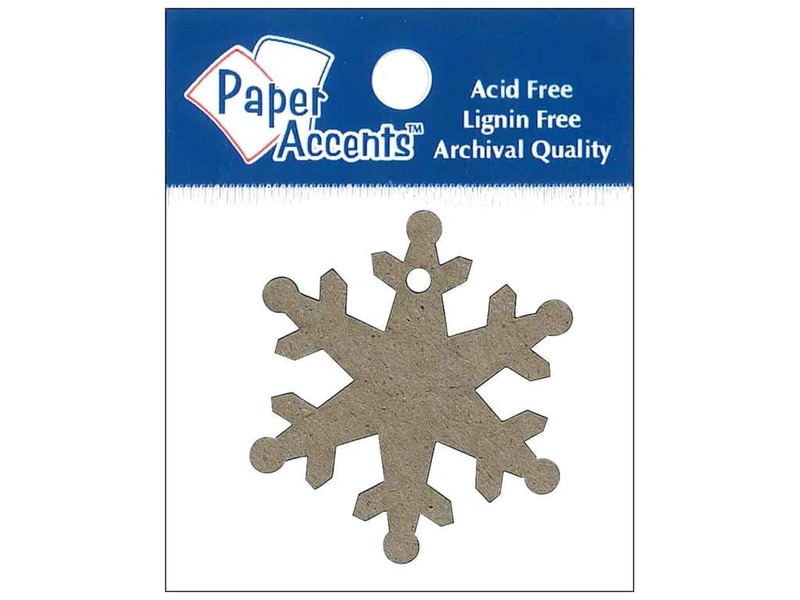 Snowflake Tag Chipboard Shape is a six point snowflake with a single hole so it can be hung from string or ribbon. Measures approximately 1 7/8 inch in diameter. Extra-heavy chipboard, 100% recycled. 12 pc. Kraft.